Presenting the Cappuccino design. 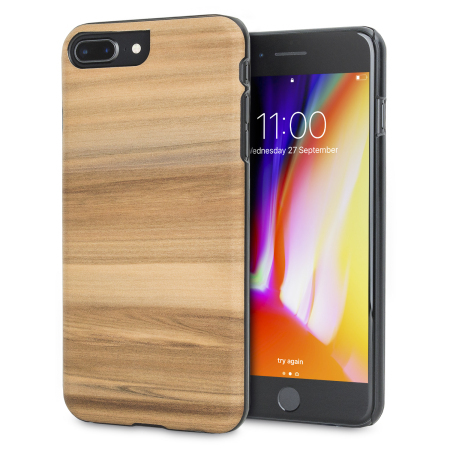 A beautiful genuine wood case for your iPhone 8 Plus / 7 Plus. 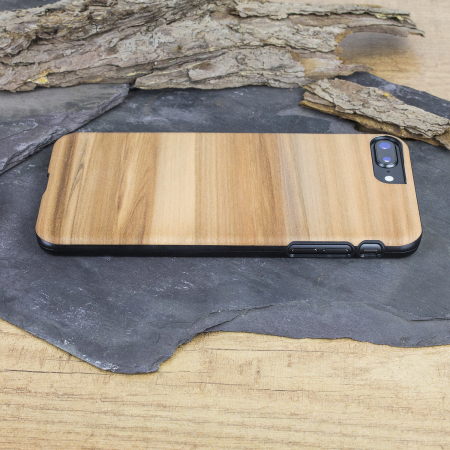 Selected premium woods from sustainable sources are crafted into a form-fitting case for your phone that is as stunning as it is protective. 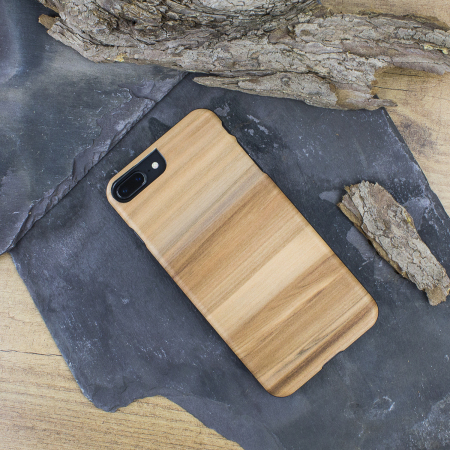 If you're looking for something a little out of the ordinary yet oh so natural, why not consider a wooden case for your iPhone 8 Plus / 7 Plus? This beautiful case is a perfect natural complement for your state of the art device. The stylish design also offers fantastic protection as there is little as hard and durable as wood, and nothing so easy on the eye. 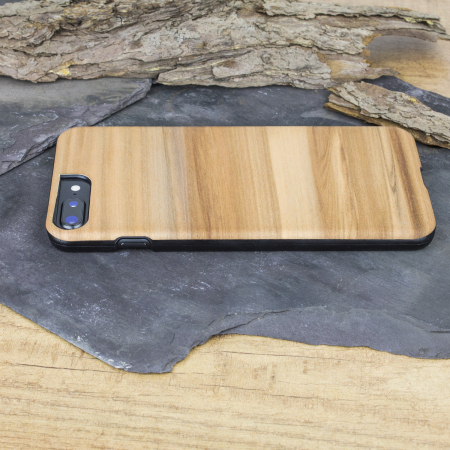 If you love wood, why would you choose anything else to protect your iPhone? Sourcing timber is all well and good, but ethically it should be from sustainable sources with a responsibility and duty of care to look after the forests and local people at the source. 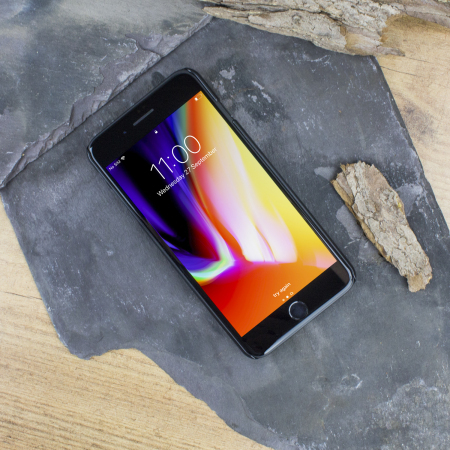 We can proudly say that these products comply to these ethics, so you can rest assured that the forests are as well looked after as your iPhone 8 Plus / 7 Plus will be in this case. This masterfully crafted case is specifically designed to fit your iPhone 8 Plus / 7 Plus perfectly, so not only will it look like the perfect complement to your phone, it will feel like it too. Every consideration has been given to how your iPhone will work in this case. This awesome case optimises functionality to all of the device's ports and features - such as the headphone port, charging port and camera. 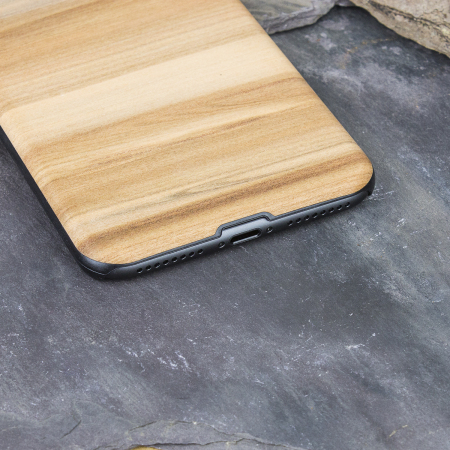 Please note: This case features genuine wood exterior and a polycarbonate inner to ensure that your phone is held securely.